Andy and Tim are in search of some bugs. 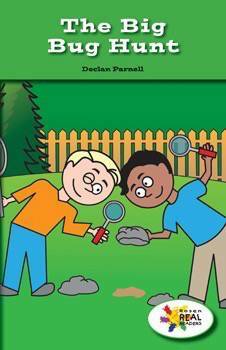 In this fictional narrative, colorful illustrations will help reader learn domain-specific vocabulary as they follow along with Andy and Tim to find a lot of different bugs in the garden. This fiction title is paired with the nonfiction title Bugs, Bugs, Bugs.